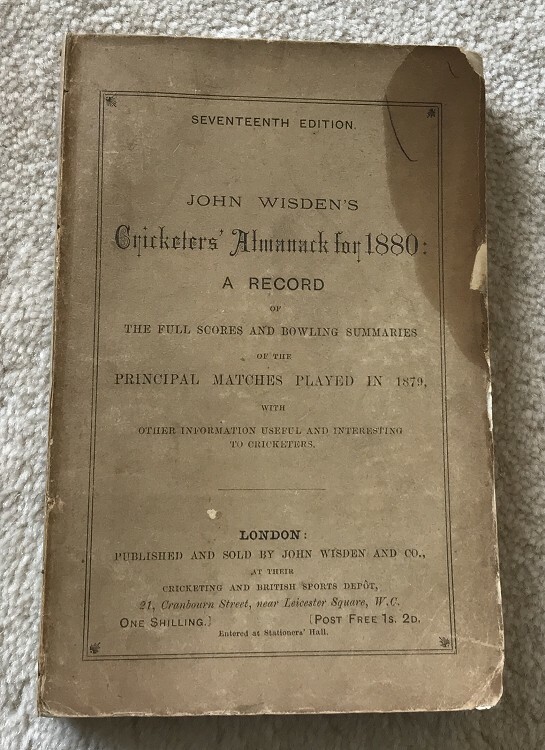 This lot is an Original 1880 Wisden Paperback with facsimile spine. This is in Good to Very Good condition. The covers are nice and tall. There is a stain to the top right of the front cover that goes through to page 23 shrinking down each page. A nice new spine with text has been added (there isn't text on the 1880 original). Internally excellent apart from some spotting to the page block.